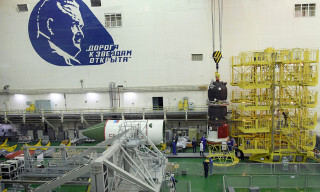 At the Baikonur cosmodrome, preparational works continues for the launch of the "Progress MS-11" cargo spacecraft. 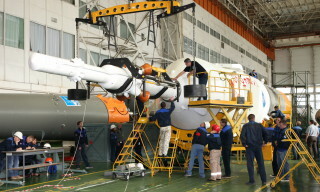 Today, in accordance with the schedule, RSC "Energia" specialists performed a design inspection of the ship and technological operations of rolling the head fairing of the launch vehicle "Soyuz-2.1a". 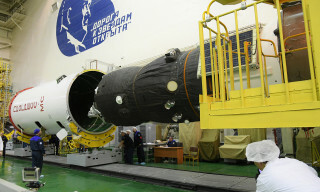 The launch of the "Progress MS-11" cargo spacecraft by the "Soyuz-2.1a" launch vehicle from the Baikonur cosmodrome is scheduled for April 4, 2019. Today, on March 28, RSC "Energia" specialists at the Baikonur cosmodrome successfully completed technological operations for assembly of the "Progress MS-11" cargo spacecraft with the transfer compartment. 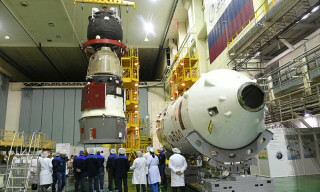 According to the schedule of preparational works, by the end of this week the following works will be performed: ship inspection, rolling of the head fairing, transporting of the head part of the "Progress MS-11" spacecraft to the Assembly and Testing building of the launch vehicle for a general assembly with the "Soyuz 2.1a" rocket , the general assembly, the meeting of the technical management and the State Commission on the readiness of the space rocket and the launch pad for launch. 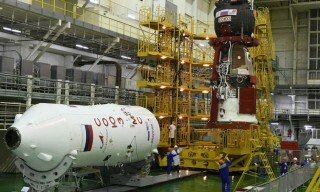 The launch of the "Progress MS-11" cargo spacecraft by the "Soyuz-2.1a" launch vehicle from the Baikonur cosmodrome is scheduled for April 4, 2019. 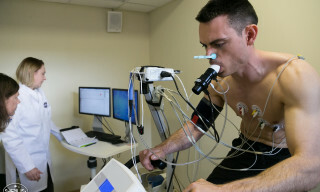 On December 7 at RSC "Energia" a complex experiment is being conducted at the ergonomic testing stand to simulate the activity of the crew of the prospective manned spacecraft "Federation" during a manned flight. 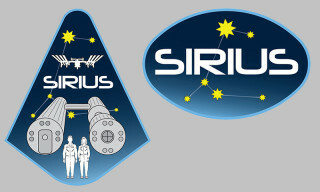 The actions of the crew of three people (commander, co-pilot and scientist, who is responsible for the implementation of the scientific program on board) are managed by the virtual Mission Control Center. A series of experiments to assess the man-machine interface ofK "Federation" spaceship will last until the end of the year. Based on the data obtained, operational documentation will be developed for the flight tests of the new ship. On November 25, RSC "Energia" specialists at the Baikonur cosmodrome successfully completed a set of technological operations for docking of the "Soyuz MS-11" spacecraft with a transitional compartment of the "Soyuz-FG" launch vehicle. The launch of the "Soyuz-FG" launch vehicle with "Soyuz MS-11" spacecraft is scheduled for December 3, 2018 from the Baikonur cosmodrome. The main crew of the ISS-58/59 expedition is Roskosmos cosmonaut Oleg Kononenko, CSA astronaut David St. Jacques and NASA astronaut Anne McClain. Experts of "RSC Energia" at the Baikonur cosmodrome on November 6 and 7 successfully completed the operations on refueling the "Progress MS-10" cargo vehicle with fuel components and compressed gases at the filling station. The launch of the "Progress MS-10" cargo vehicle by the "Soyuz-FG" carrier rocket from the Baikonur cosmodrome is scheduled for November 16, 2018. The ship will deliver to the ISS about 2.5 tons of various cargoes, including dry cargo, fuel in tanks and refueling systems, water and compressed gases. 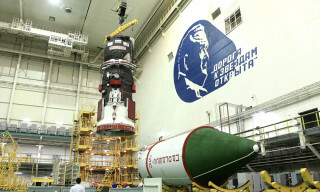 Today, on October 9, the "Soyuz-FG" medium-class launch vehicle with the "Soyuz MS-10" spacecraft was removed from the assembly and test building and installed on the launch complex of the site No. 1 "Gagarinsky Start" of the Baikonur Cosmodrome. The launch of the "Soyuz-FG" launch vehicle with "Soyuz MS-10" spacecraft with the crew of the next long-term expedition to the International Space Station is scheduled for October 11, 2018 from the Baikonur cosmodrome. Roskosmos cosmonaut Alexei Ovchinin and NASA astronaut Nick Hague are in the main crew of the ISS-57/58. Their backup is Roskosmos cosmonaut Oleg Kononenko and CSA astronaut David Saint-Jacques. Today, on October 8, representatives of the technical management and the state commission at the Baikonur cosmodrome issued an opinion on the readiness of the "Soyuz MS-10" spacecraft and the "Soyuz-FG" launch vehicle to be exported and installed on launch complex. 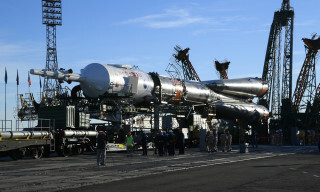 Removal of the launch vehicle with "Soyuz MS-10" spacecraft from the assembly and test complex and its installation on the launch pad of the Baikonur cosmodrome will be held tomorrow, October 9. The launch of the "Soyuz-FG" launch vehicle with "Soyuz MS-10" spacecraft with the crew of the next long-term expedition to the International Space Station is scheduled for October 11, 2018 from the Baikonur cosmodrome.